Unmatched performance and ultra-fast USB 3.1 onboard for your X99 build. Total control anytime, anywhere with Remote GO!" Cache bus links areas such as CPU cores, DDR4 Memory Controllers, System Agent and the shared L3 Cache. It is a critical interconnect for the whole CPU subsystem. Higher cache bus frequency directly gives faster total sub-system performance. 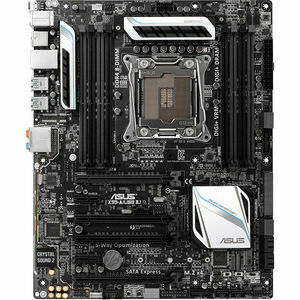 ASUS OC Socket exclusively provides an adjustable cache bus voltage to reach higher cache bus frequencies.